The 2016 resume clip for Javier Henríquez Cutillas, rocking it at home on the Canary Islands. 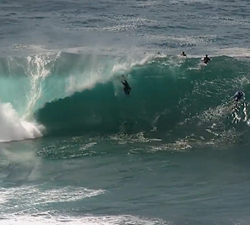 A 2 minute clip featuring Amaury Lavernhe charging XXL El Fronton on the 26th and 27th of May. Film and edit: KlaK. 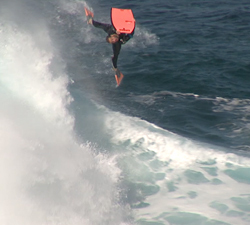 A fresh edit of a classic day at El Fronton, shot on the 24th of December 2012 by Daniel Orihuela // DOP. Salitre Mag Presents: The teaser for “Deep & Sweet”, a new short film brought to us by Jorge Lekunberri. Coming soon! A clip featuring huge boosts and heavy slabs with Amaury Lavernhe, shot during his winter at El Fronton // Gran Canaria. Salitre Mag presents: A short clip featuring Juan Daniel Quintana Fleitas, ripping at home on Gran Canaria. Mixed in with action, Jorge “Mutant” Saavedra of Independent bodyboards tells us about the expansion of the brand worldwide. A short resume clip featuring Canarian rider Adrian Toledo, going ballistic at home in Gran Canaria. 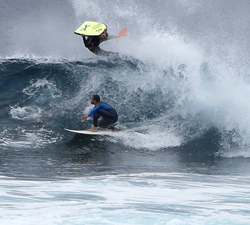 A short burst of action featuring Carlos Sanz, tearing it up at home in Gran Canaria. From MINSK STUDIO. A short clip featuring Canarian rider Antonio Afonso, charging some meaty slabs at home at El Fronton. A short clip featuring Venezuelan shredder Francisco Medina Lopez, going hard in his current home Gran Canaria.